Triggering on the complex FlexRay protocol is made easy. Set up a simple TSS (Start) symbol trigger with a single button press or trigger on any part of a FlexRay frame including ID, Cycle Count, Cycle Repetition Factor, and Frame Qualifier. FlexRay defined Symbols and Errors can also be incorporated into the trigger making it as simple or advanced as necessary. Conditional triggering can be set to trigger on any range of Frame IDs or Cycles. FlexRay eye diagram mask test overlays all the bits on FlexRay signal in an eye diagram with user-selected masks. Trigger on a specific Frame ID or range of IDs, or filter one long acquisition specific IDs, and show only those messages in the eye diagram. Supports SI Voting. 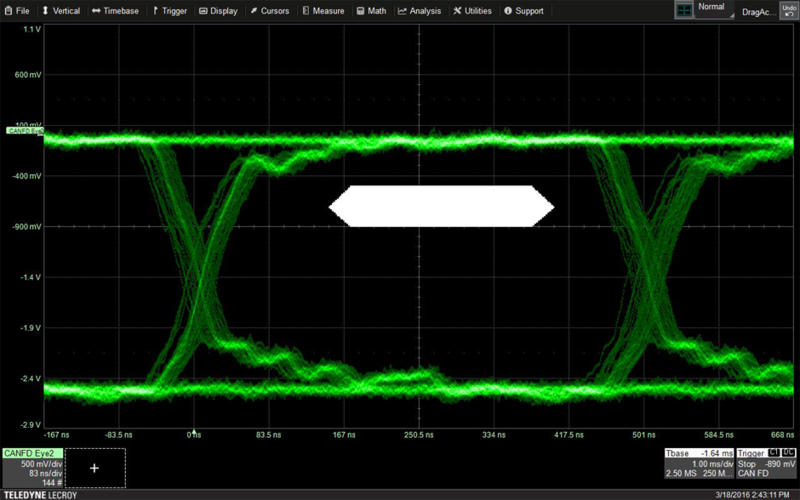 Key timing parameters like Propagation Delay, Asymmetric Delay, Truncation and Jitter help you understand how signals propagate along the channel. Use statistics and histicons for deeper insight. In addition to the capability described above, the standard Eye Diagram capability is also provided. 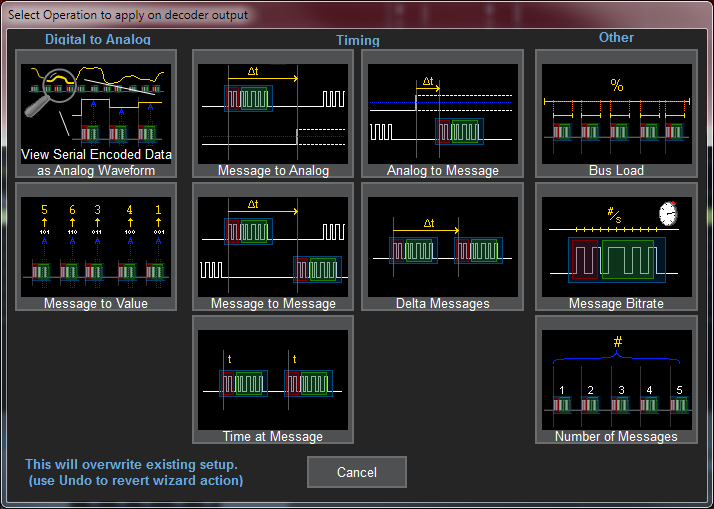 Rapidly display an eye diagram of your packetized low-speed serial data signal without additional setup time. 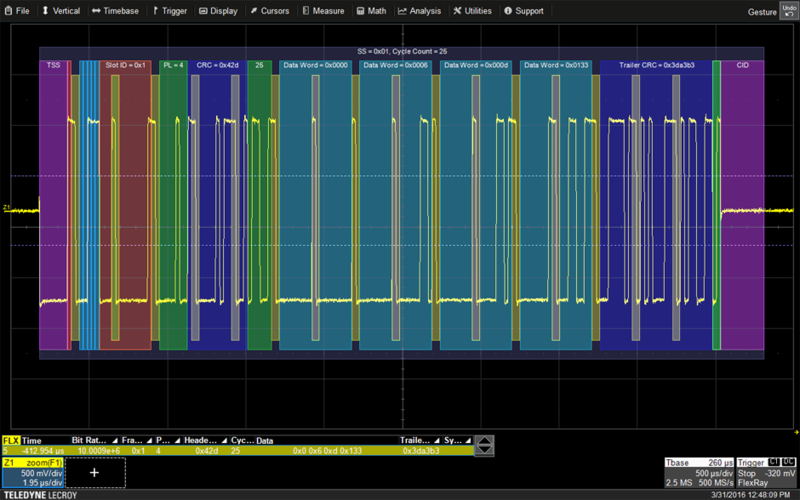 Use eye parameters to quantify system performance and apply a standard or custom mask to identify anomalies. Mask failures can be indicated and can force the scope into Stop mode.